Amongst these 70 islands, discover secrets that were hidden for over 5000 years. 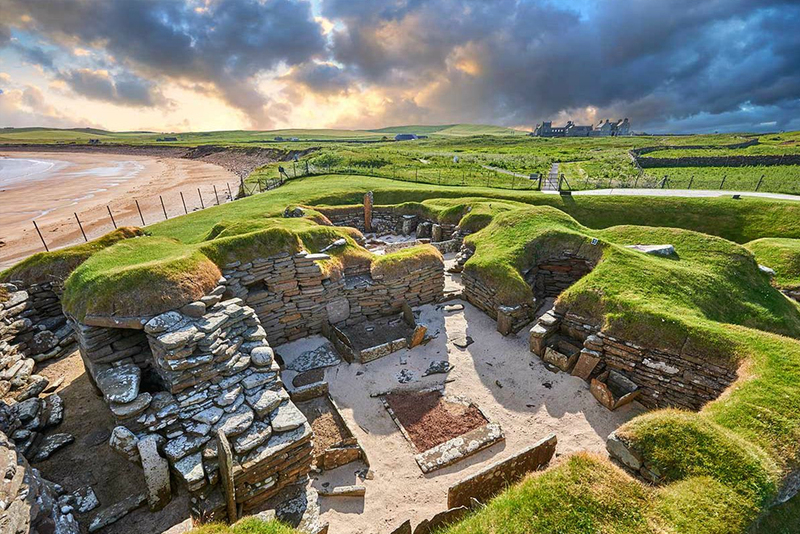 Today Orkney is the authentic Neolithic heart of Scotland. Its archeological treasures are UNESCO World Heritage sites. A vast array of prehistoric sites meets the sea and the Viking era. Our ancestors left way for the Picts and the Viking invaders from the north who made this magical place their home and operational base. The nature and wildlife of the Orkney Islands have fascinated us throughout history. Prehistory, Viking heritage and wildlife merge together to make this tour an unforgettable and sensational experience. Your guide picks you up early on the first day of this unforgettable voyage to the extreme north of Scotland. We shortly arrive at Leven Castle, where Mary Queen of Scots was imprisoned. This castle sits right on a small island in the middle of Loch Leven. Later, go on a short walk to Bruar Falls, and try some typical Scottish delicacies nearby. On the way to our accommodation in Helmsdale, we have a surprise visit for you too!. Continue along the North Coast 500, a magnificent route along the northern Highland coastline. We take the ferry to the Orkney Islands. Sailing alongside the Old Man of Hoy, you have an incredible panoramic view of this needle rising 107m above the sea. We are taken to Stromness, a quaint fishing village. Here, wander along cobbled streets, visit some handicraft shops, a local jewelry shop or art galleries. The Orkney islands have been a refuge for artists seeking inspiration for years. After a hearty Scottish breakfast, we travel back to the days of our ancestors. Skara Brae, the best conserved Neolithic village in Europe, Stenness Standing Stones and the Ring of Brodgar all await us. It doesn’t stop here. 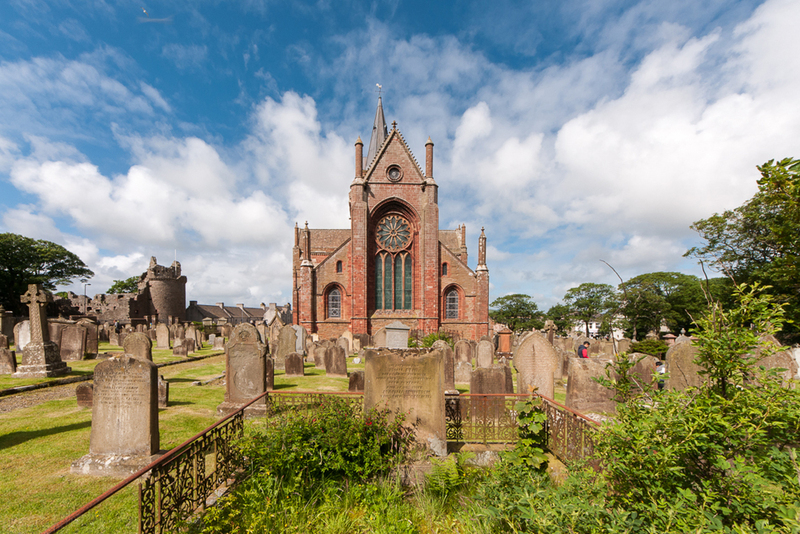 Visit a Pictish and Viking settlement, admire the grandeur of Kirkwall Cathedral with its Viking origins, or simply stroll around the streets of the town. Your guide will recommend somewhere to try some local delicacies too. Get up close to the cliffs, home to some of the islands most curious inhabitants, puffins. Legend says that marine creatures called Selkies live in these waters too. Finish off our trip to the Orkney Islands by remembering their important role during the world wars. You can see a peculiar chapel built for Italian prisoners. Take the ferry back to mainland Scotland passing by plenty of small islands. 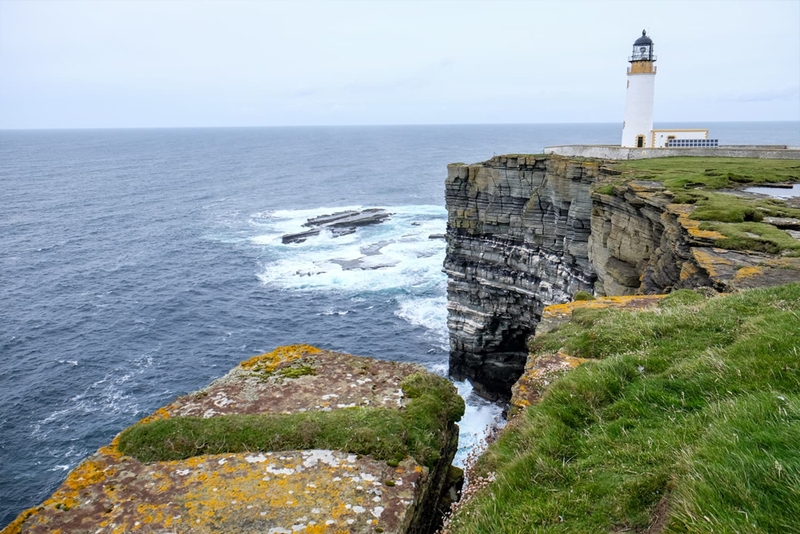 Before returning to Inverness you can explore Duncasby Head; the lighthouse here makes for a picture-perfect postcard. Not forgetting a stop at an iron age Broch, with incredible views of the sea. Spend the night in a B&B in Inverness, or in a hotel if you prefer. Explore the mysterious Loch Ness. We go along the less touristy eastern shore, which for us is also the most beautiful of this enigmatic loch. After admiring Falls of Foyer, we start our return towards the south of the country. 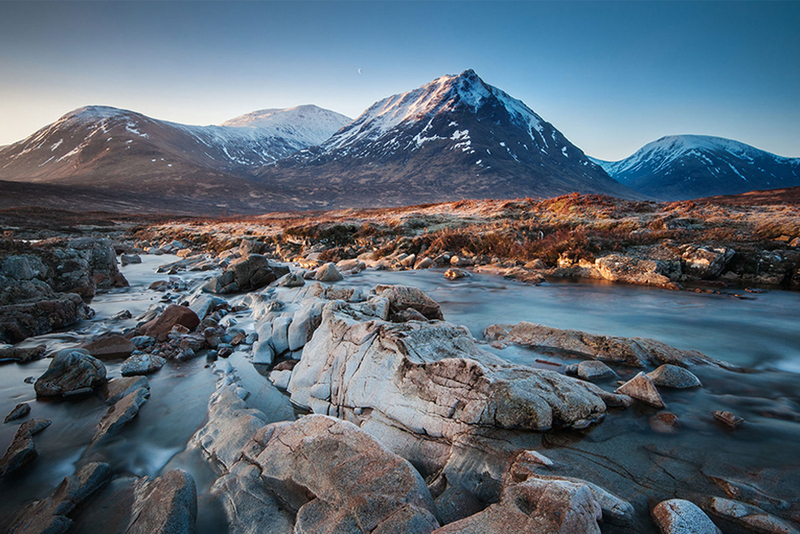 Travel through Glencoe, which has one of the most iconic landscapes in the Highlands. Pass through several picturesque villages, including Killin. At the end of the day, our lungs filled with pure air and our minds at ease, we end our trip to the Heart of Neolithic Scotland back where we started in Edinburgh.